Lebanese charity uncovered as Hezbollah fund-raising scam in Essen, raised more than $80,000 for terrorist group. German authorities banned a group Tuesday accused of raising money for the Lebanese terrorist group Hezbollah and staged raids across the country on homes and offices used by the organization, AFP reports. Around 150 police officers searched premises across six states and confiscated cash, computers and around 40 boxes of files. Two bank accounts with a total of around 60,000 euros ($82,572) were frozen but no arrests were made, the German interior ministry said. "The name of the group masks its actual purpose," ministry state secretary Emily Haber said in a statement. She said the organization, based in the western city of Essen, had raised 3.3 million euros ($4.5 million) in donations between 2007 and 2013 for the Lebanese Shahid Foundation, an "integral" part of Hezbollah. "Organizations that directly or indirectly from German soil oppose the state of Israel's right to exist may not seek freedom of association protection," Interior Minister Thomas de Maiziere said in the statement. He said the group's goals violated Germany's constitution. The European Union in July last year also blacklisted Hezbollah's military wing as a terrorist organization. 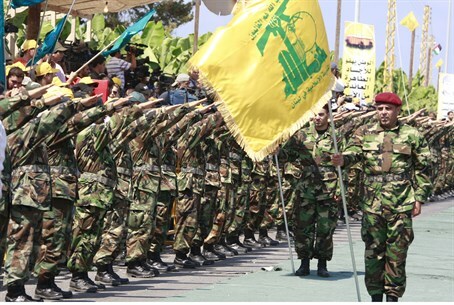 Hezbollah, which brands itself a resistance movement against Israel, was formed in 1982 by Iran's Revolutionary Guards. It acknowledged early last year it was sending fighters into Syria to support President Bashar al-Assad's forces in the country's three-year civil war.